TBC Leader Randy Wilson will be hosting the Send Button LIVE BROADCAST on Monday February 4th, 2019 at 7:00 AM PT. If you do not have a Send button ON you are not allowed into the meeting. For those of you who do have a Send button, DO NOT SHARE THIS LINK with anyone else. The link will be available at 6:45 AM PT on Monday February 4th, inside your Kringle Cash back office. The meeting starts promptly at 7:00 AM PT. Show up and collect up to 1 MILLION COOKIES! Hosts, I’d like to bring some clarity to WHY Admin and the type of Blockchain we use are UNKNOWN. Short answer is SECURITY IS VERY EXPENSIVE. TBC is rolling out and not fully developed at this time, yet is highly functional today. The Admin fee is ridiculously LOW to keep the barrier to entry into the TBC community very LOW. We are on a Mission to help the poor rise out of poverty. So we have kept the costs down as much as possible to run a sustainable operation. Remaining UNKNOWN reduces the chances of attacks, so that we can continue to grow organically. As funds grow, so will our tech and Admin structure, and with enough funds high levels of security can be put into place. We are self-funded operation on the 4 (gr) Admin fee. We are debt free! We are self-regulated. WE ARE PRIVATE!!! Chair with a leaking pipe. Imagine paying full price for a professional plumber while getting the result of a novice apprentice plumbers helper. 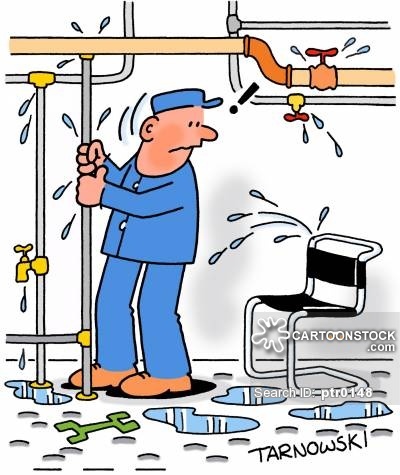 That could happen if a partially trained plumber decided to become an independent business operator and advertised that he could take care of all your plumbing needs, and after you hired him he discovered your plumbing needs were more complicated than what he expected. He may fool you and you end up paying full price for a crappy job, and a day later you come home to a basement that is flooded. How is that going to make you feel? We just completed an extension of a Redemption Period and now thousands of YOU have tens of millions of dollars of TBC in YOUR wallets. For some of YOU, the amount in YOUR wallet makes YOU think that YOU are completely ready to break off and become independent and can get 100% from the coins that you move into the hands of others. YOU may think this way because YOU simply have enough of YOUR own coins to justify it. But are YOU truly ready to be completely independent? Are YOU a Sponsoring Machine? If YES, then YOU are ready to be independent. But, if YOU can’t bring new people into TBC everyday, and know how to overcome objections that do come up, then YOU are NOT a Sponsoring Machine. Hopefully YOU are Partnered with someone who is a Sponsoring Machine. If so, keep working with them in a Partnership until YOU too become a Sponsoring Machine. YOU are NOT limited on how many Partners YOU have. YOU can always upgrade YOUR training by setting up with a Member that is a Sponsoring Machine. Consider the alternative… If YOU don’t learn how to become a TBC Sponsoring Machine, then YOUR TBC income will be very random and YOU will still have to have a JOB to survive. If YOU are like most people that have a JOB, then YOU don’t like the work even though YOU can do it, YOU don’t like the hours, and YOU hate how low YOUR pay is to do that JOB. As a TBC Sponsoring Machine, YOU set YOUR own hours, and in about one hour YOU can earn a full days income. But YOU may NOT be completely comfortable with the process of prospecting and then closing clients on TBC, because YOU may have to deal with rejection and other things that come along with this effort. So, weigh this out in your mind. Work equals money. Do YOU keep doing a JOB that gobbles up YOUR entire day, or do YOU learn to get passed the things that seem uncomfortable with TBC today, so that YOU become a TBC Sponsoring Machine? Afterall, TBC has already turned YOU into a Millionaire. How are YOU going to pay next week’s bills? 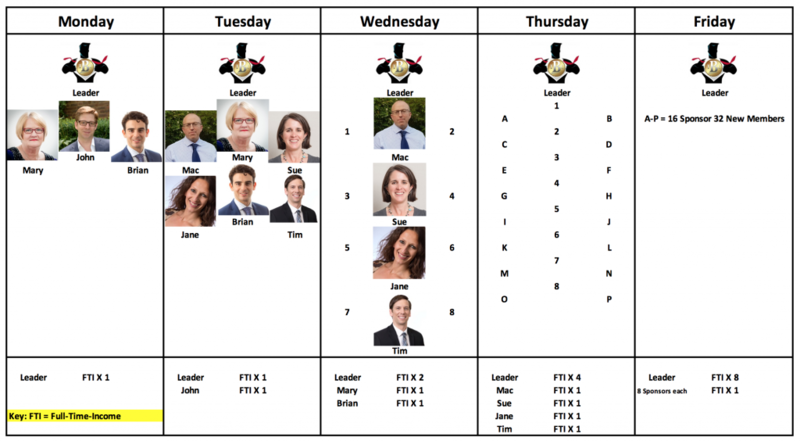 From the JOB or TBC? 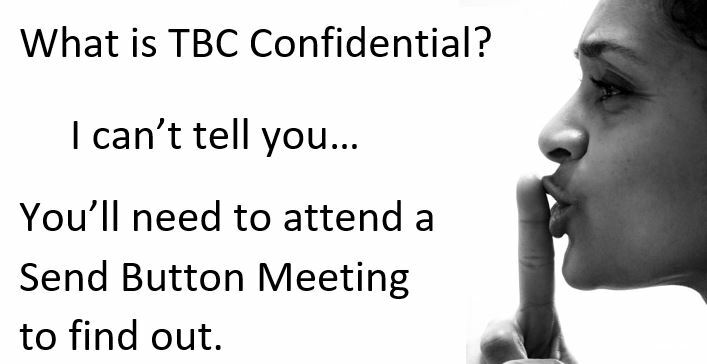 If YOU take TBC serious, then it will seriously change YOUR life for the better! Once that fire is blazing, YOU will be doing several transactions per hour and YOU will experience incredible wealth pouring into YOUR household. Sure beats a low paying JOB, right?